Turkey Brine Recipes For Great Smoked Turkey! This collection of turkey brine recipes provides you with the means to create many tasty versions of smoked turkey. The ultimate flavor of a well smoked turkey depends heavily upon the brine recipe used. 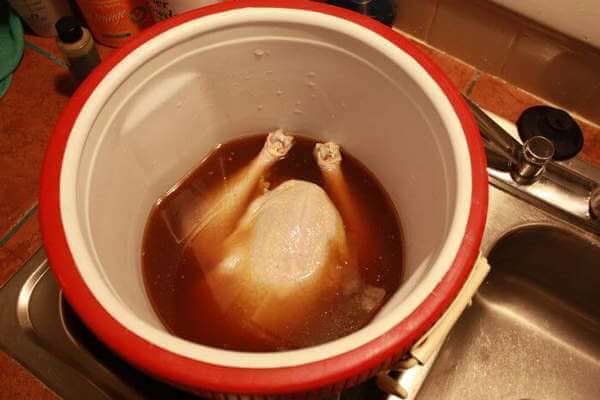 Turkey brine recipes contain salt, sugar, and flavorings. And good brine recipes strike a balance between these three components, so that no single taste or flavor is overpowering in the smoked turkey. How To Make Magnificent Turkey Brine That's More Than Fine! This is the brine recipe I used for my Thanksgiving turkey of 2005. It turned out very tasty and moist. Give it a try and see what you think. The addition of ginger to the turkey brine was an experiment that went well. I enjoyed the cool bite of the ginger along with the other spices. The rich flavor of the soy sauce is sweetened with brown sugar and can be warmed up with the red-heat of cayenne pepper powder. With this recipe, add the soy sauce when combining the two cooled pans of liquid. Is This The Best Brining Container? This is a good flavored sweet brine that imparts the flavors of apple, spice and citrus to the turkey. MMMmmmm! Cherry wood for smoke is tops! Simmer spices in the orange and apple juices for 15 minutes. 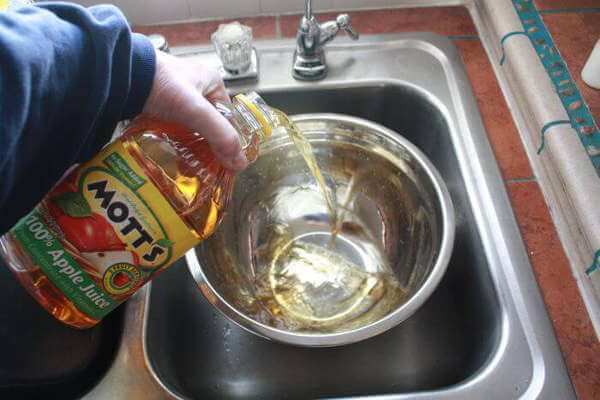 Boil the sugar and salt in the water until dissolved. Cool both, combine, and refrigerate overnight before adding turkey. This is the starting point for all brine recipes. Use this as a starting point for creating your own brine recipe. If you add juices or beverages, decrease the recipe amount of water by the amount of added liquids. If you like it warm…or HOT!, this is the brine for you. 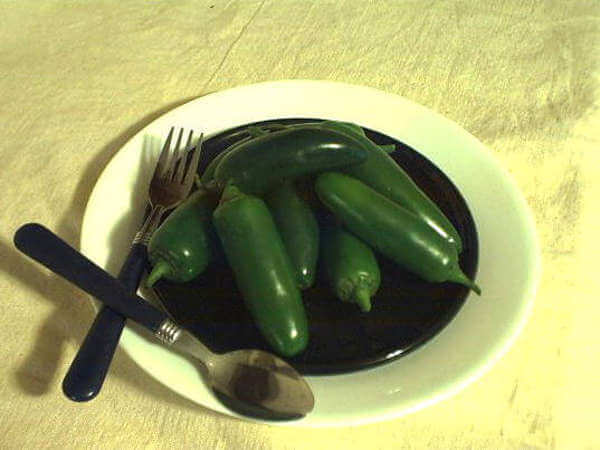 The jalapenos give the turkey a nice peppery flavor. Increase or decrease the pepper amounts to satisfy your own craving for heat. Use the turkey brine recipes on this page as a guide to your own recipe adventures. Half the fun of smoker cooking is coming up with a unique and excellent recipe that produces bragging-quality smoked food!